Colin Furze is a madman who’s willing to create anything on a low budget, even putting his own safety at risk for a bit of fun. He’s already built a jet bike and a wall of death made from salvaged palettes, to name but a few. 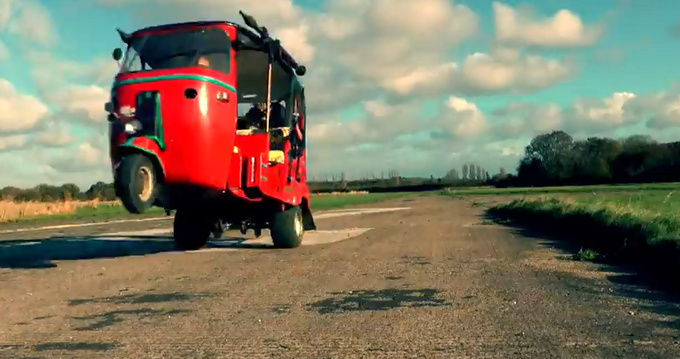 His latest venture, sponsored by Far Cry4 is a Tuk Tuk turned into a spy vehicle. 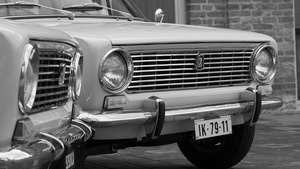 James Bond would be green with envy if he saw this. And pension Q off. If you’d like to know how Colin built the 100 PS Honda engine into the thing, have a look at this. Quite a massive difference compared to the original 10 PS two-stroke engine. And this is how he installed the guns. Every Tuk Tuk should have an AK-47 and a few Uzis on board. 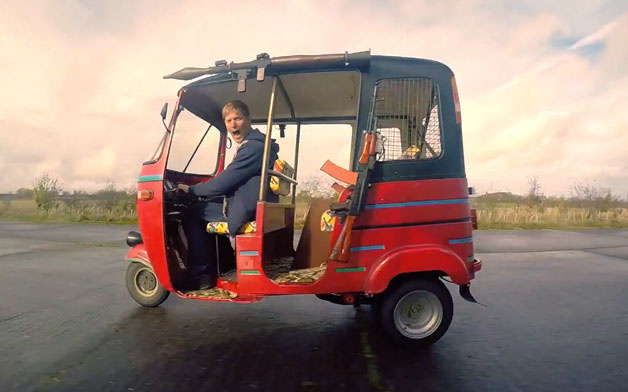 Colin Furze, you genius, you!